JC Tonic® is a safe and effective anti-aging solution formulated to balance, energize and cleanse all of the body systems. Our proprietary blend draws on the best of the world's vital traditions; emphasizing balance and longevity; counteracting stress; balancing the body system; improving endurance; increasing physical and mental energy, stamina and circulation; detoxifying and maintaining cellular health. Why is JC Tonic® Unique? 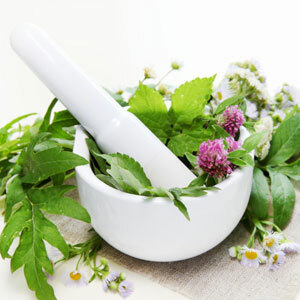 What makes JC Tonic® unique is its use of 18 Tonic Herbs. Of the 6,000 or so known herbs, less than 200 are tonic herbs. The term tonic refers to herbs that can control the functions of organs or systems in more than one way, rather than a single direction; in other words, bidirectional. The tonic herb contains constituents in two groups. The compounds in the first group can increase the function of an organ or system, in effect, turning it on. The compounds in the second group decrease the function of an organ or system, in effect turning it off. If your body needs an organ or system to step up its function, it seeks out and absorbs those compounds that can "turn on" the function. On the other hand, if the body's condition requires that an organ or system's function be turned down, the body absorbs those compounds that can diminish that function. Won't the forces cancel each other out? The answer is no. Numerous studies have shown that the body is able to extract from foods, dietary supplements, and herbs, those specific nutrients it needs at the moment they are consumed. The unneeded nutrients are simply excreted or metabolized into inactive intermediates or ignored. That is the science of tonics. 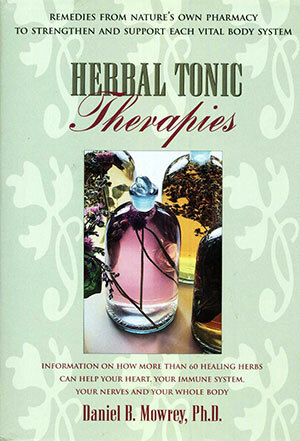 Phytopharmacologist and author of the book, Herbal Tonic Therapies (among many others), Daniel B. Mowrey, Ph.D., coined the word "bidirectionality" to describe the most unique property of a tonic herb: the ability to exert activity in opposite directions. Nothing else in the entire medicinal world has this property. Nothing! Begin Today and Feel the Improvement in Your Health! Restore and maintain homeostasis or balance to body systems. Substantially increase production of energy through normal metabolic means. Increase resistance to infectious disease by enhancing the immune system. Decrease stress and anxiety and increase ability to perform as well as to rest and sleep. Increase the body's ability to build new muscle tissue and to lose weight by burning more calories. Regulate digestive processes and prevent indigestion, ulcers, colitis, heartburn and related ailments. Provide substances that strengthen the heart, reduce cholesterol, normalize blood pressure and prevent undue clotting. Help keep the liver and related organs and glands in good health. What Is A Tonic Herb?